I never liked having to waste space on a book cover defining where I grew up – formulations such as ‘the Scottish new town of East Kilbride, near Glasgow’ seemed so cumbersome. So, I have settled on the literally true ‘born in Glasgow’, as that was where the nuns of St Francis Maternity did indeed deliver me, in the vicinity of Ibrox Stadium. Glasgow is sexier than East Kilbride. 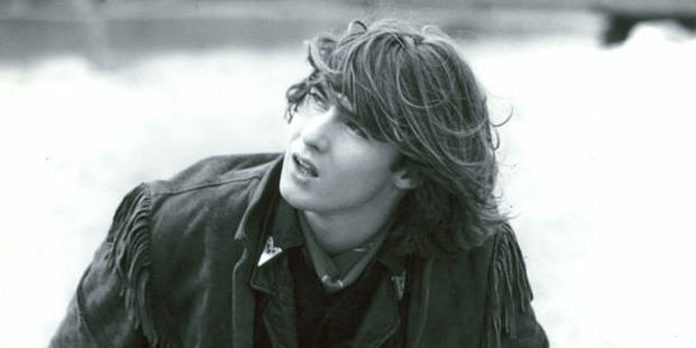 Yet I remember feeling betrayed when one of EK’s most famous sons, Roddy Frame of Aztec Camera, spoke of being ‘a boy from Glasgow’ once he had achieved the fame that his prodigious talents deserved. Roddy’s fame didn’t pass me by. My ears pricked up when I heard those Postcard label songs, ‘Mattress of Wire’ and ‘Orchid Girl’. My lip may have curled in a sneer which condemned him as not being as good as Bob Dylan; yet aged just 19 when Aztec Camera’s debut album High Land, Hard Rain appeared, Frame was better than the extremely youthful Dylan had been, and I knew it. I’ve never looked for parochial affinity in my choice of music; if anything, Frame’s origins put me off slightly even as I felt intrigued. When High Land, Hard Rain was on the turntable, my ears heard what my mind would have blocked out. Frame was a poetic songster of a high order. My pal Stevie Rooney wondered, as we passed the Walkman between us on the way to our first parentless holiday, in the Catalonian tourist trap of Lloret de Mar, if this might be the first time that these songs had been played over those waters. Probably it wasn’t. What do I think of them now? I think what I thought then, which I’ll try to articulate here. Side one, track one. ‘Oblivious’ was tainted for me by being an obvious choice for a catchy single and a Top of the Pops appearance. It was filled with lines that any teenager could identify with. Such as how people don’t really change – ‘Got different badges but they wear them just the same.’ (Badgewearer was the name of a later post-punk band with an EK bassist and old pal of mine.) There may be a hint of profundity in the bridge, but it’s an unabashedly pop lyric. Till you know I’m the best. These capture one aspect of Frame’s appeal – as a boy who knows how to speak to girls, if only (but perhaps not only) in verse. If this boy likes himself just a little bit too much at times, he’s redeemed by liking the girl even more. If any old youngster could pen such lines, then precious few could come up with a line as striking as ‘I felt the rain and called it genius’. Or so dexterously turn on a grammatical sixpence, transforming ‘All those boy wonders’ into ‘Now this boy wonders’. And nothing was left where they hung. East Kilbride is indeed on high land, and to the talented young with a prospect of leaving the place one day, ‘Chance is buried just below the blinding snow.’ And who can resist a song that ends, unironically, with the almost-shouted words ‘This is life / This is life’? And realised that in your eye the force of love could kill. So go and get your wages, get what you deserve. When hope held out its hands today, you laughed and turned and fled. To ‘bottle it’ is to cowardly back out of doing something, and a bottle merchant would be someone who regularly does so: a denigrating phrase which Frame turns on its head. ‘We drink a lot of stolen wine and smash the bottles afterwards, but in a heady, romantic way you can’t help but admire.’ It’s true there were always shards of green glass in EK’s underpasses. This is a West-of-Scotland equivalent of Springsteen’s ‘Born to Run’: ‘You’d better summon your soul because we’re leaving this place.’ If, as Edwin Muir wrote, there were streets in Glasgow that were ‘made for murder’, so East Kilbride could be said to be a place made for escape. But it wasn’t ever thus. EK was once our parents’ dream of escape, as Lynne Ramsay, director of the film Ratcatcher, sensitively knew: at the film’s end, a ‘Glasgow overspill’ family heads for the New Town’s planned, promised land. In ‘Lost Outside the Tunnel’, Frame falls on the immature side of the young-prodigy fence, but ‘Back on Board’ hauls him back over. ‘I’m always, always trying to be the archetypal free,’ he sings, like a boy who has read his Camus as well as his Keats. ’Cause I’ve bound myself to virtue. You know I can’t approve. And I’m going down the dip with you. Before I turned 18 and left EK for good, I was one of a small group of poets (Paul Gallagher and Stephen Bow were notable members) who produced a couple of photocopied pamphlets of our work. I phoned Roddy’s mum and dad to ask if he’d agree to be included – they sounded like proud parents who considered it an honour for their son’s words to be thought of as literature. The next link in the chain that never made it to Roddy himself was his manager. His response was – laughter. Warner Brothers already had the rights to his lyrics. He was unreachable now. But hats off to him – for a brief, brilliant moment he was our own wondrous boy. I always thought that the “Dip” referred to was the Diplomat, as I’d been there a few times with Roddy, Campbell, Davy and Ralds. However I read later, an interview with Campbell that it is actually a pub called “The dip” in London or Brighton (can’t remember exactly) where they did some of the recording. Good article, by the way. Hi, someone just posted this on the Roddy Frame/Aztec Camera fan Facebook page. I just wanted to say that I found the piece lovely. It took me back to EK and my youth (even pre HLHR). Thoughts of hanging out at the Key. I was there when the former Clash covers band Raw Power changed their name to Neutral Blue, It was the summer ’79 and then 15 year old Roddy arrived. I was smitten – he was not. Perhaps his lady wasn’t finishing up in Greggs but further along on the corner of Princes St. The City Bakeries upstairs cafe was the place to be and Roddy referred to it as the bad beat cafe. Perhaps our path crossed back then. Ha, yes, the Greggs reference was a bit harsh. Good to hear your recollections of that time and place, thanks. I remember Neutral Blue rehearsing in the Key Youth Centre.